I read this book because it is listed inside the bibliography of The Phoenix Project and this was a good reason to go for it. 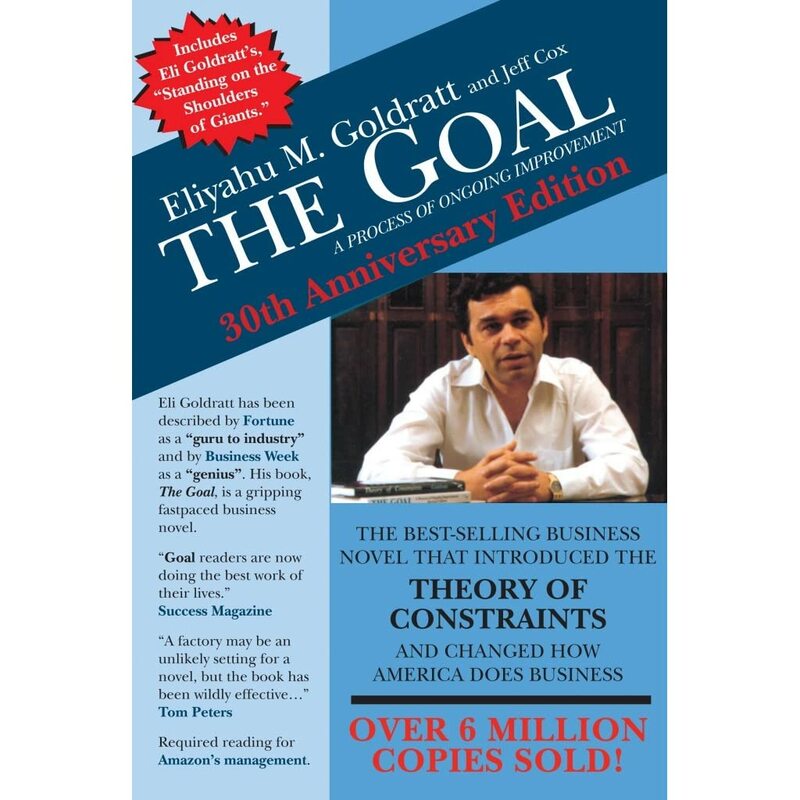 The book is written as a novel and explains the Theory of Constraints inside the process of growth of the main character, Alex Rogo. He’s in charge of a manufacturing plant in serious trouble and he has 90 days to increase performance to save the plant from failure. The title of this book represents the main question that Alex ask himself to understand what actions he must undertake to solve the task assigned to him. This is the first of many questions that the author uses to drive the improvement and the change of Alex. The author opens the reader’s mind by revealing us a new way to think about performance and what are the really important things to do to achieve The Goal. He does that with a socratic approach and a progressive discolsure of concepts guided by events that happens in the plant. If you’re searching for a book that teaches how to think in an effective way and how to organize complex activites inside a plant this is the book for you. Don’t wait to buy it, do it now!